The Ulti Care VetRx Insulin Syringes are made specifically for veterinary use only. You should consult with your veterinary health care professional before using this product. Box of 100. 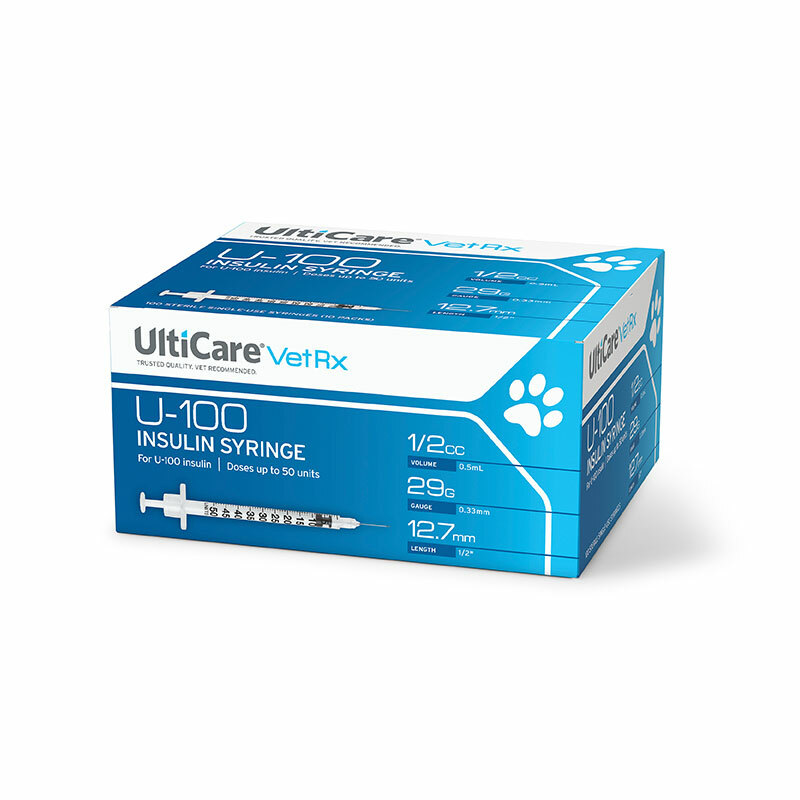 When my dog was diagnosed with diabetes, her vet provided us with a box of these U100 syringes and said we could purchase them at a local big box store. 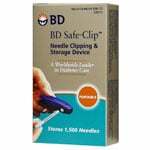 Well, the stores in our area do not carry this syringe so finding them through ADW was a total blessing. Having them delivered regularly is a major bonus. Thanks, ADW. 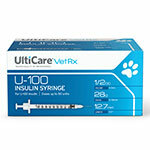 These are exactly the syringes the Vet started my pet on. I could not find them at any of the local pharmacies. I really appreciate being able to order them from your company and know they will be delivered in a matter of a few days. Thanks so much. Perfect just what I needed for my diabetic dog. Used to buy at Walmart but they don’t carry this size anymore. Good service fast delivery. Will reorder. 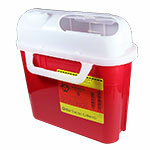 The syringes are great and easily readable, but are stiff to pull in and out. Exact same srynges and a lot cheaper than buying from the vet. Very happy. having a hard time to see the correct dosage for my cat. Going back to the previous syringes I was using.